Watch full Naruto Shippuden Season 17 Episode 9 English Dubbed full HD online. Naruto Shippuden Episode 370 English Dubbed online for free in HD. The battle between Hashirama and Madara concludes with Hashirama killing Madara and resolving himself to endure in order to protect his dream. Back in present day, after hearing Hashirama’s story and reflecting on Itachi’s life, Sasuke decides that the village that Itachi sacrificed his life to protect should not be wasted, and decides to enter the battlefield to follow his will. 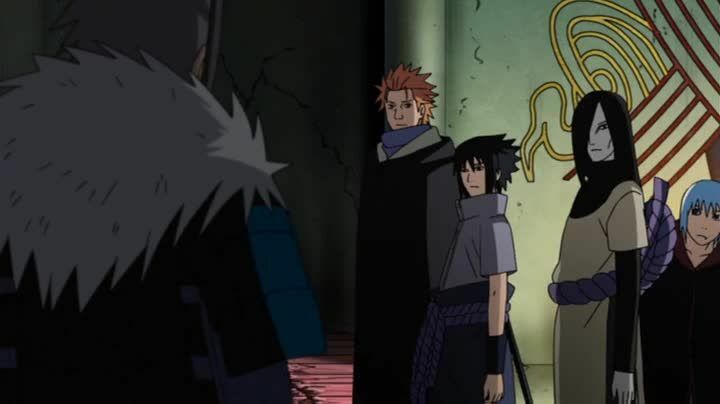 After Karin joins back up with them, the resurrected Hokage prepare to head to the battlefield.